We do our bowfishing off of airboats.With no underwater exhaust or propeller, an airboat doesn’t alarm the fish until we’re already close enough to shoot them. We’ll glide down the rivers and across the flats slow and easy so you can sneak up on the big ones! We have two airboats with brand new sodium lights and generators to provide you a clear view of the water so you can get a perfect shot. Our trips are all inclusive. We provide high quality recurve and compound bows with reels on them and we’ll even show you how to use them! 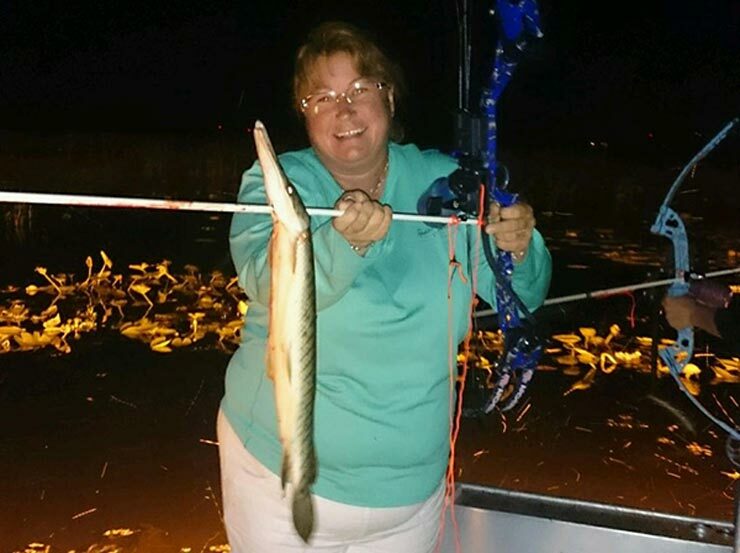 Call us for more information on our bowfishing adventures. 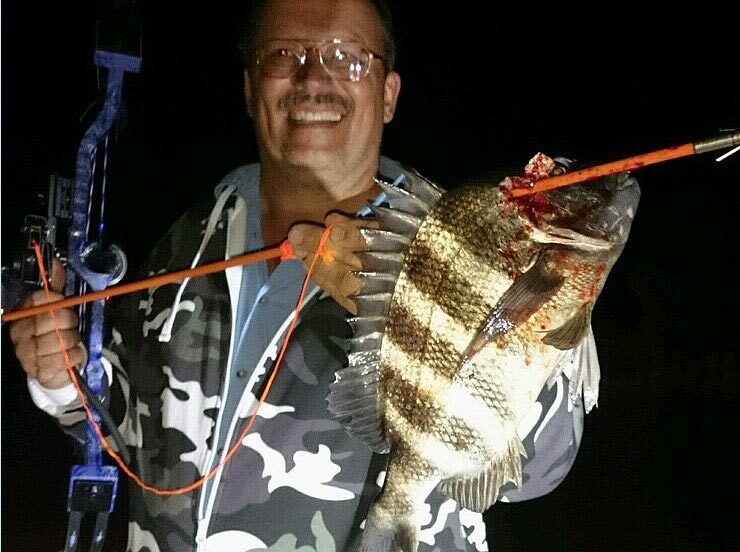 Saltwater Trips allow you to shoot sheep head, flounder, mullet, black drum, sand brim and stingrays. Your fishing license is included on saltwater trips. Freshwater Trips allow you to shoot tilapia, gar, mudfish and catfish. Your freshwater fishing license is NOT INCLUDED in these trips.